Pushbuttons, power LED (12V type with integral resistor) and misc. connectors from Maplin (www.maplin.co.uk). The 2.5" hard drive cable was from Farnell (www.farnell.co.uk) P/N 961-280. 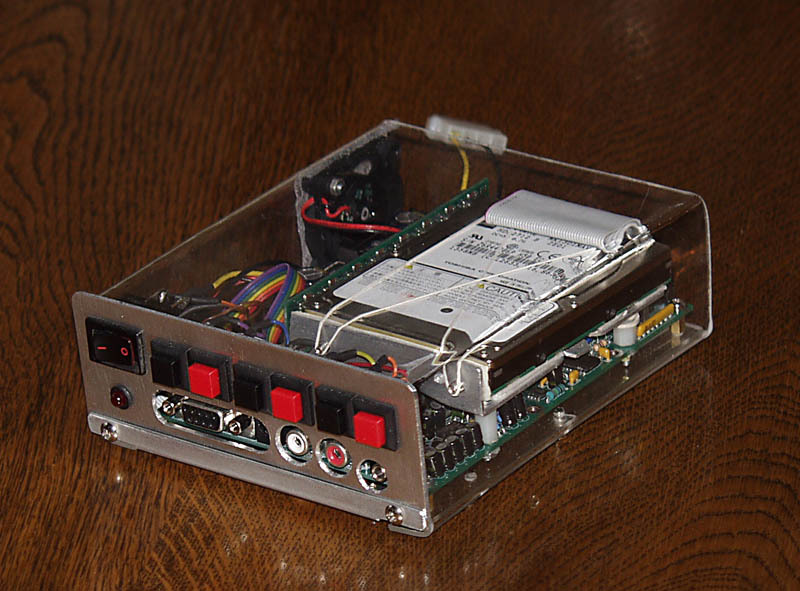 This is designed for head-up use in a car with no display - so I recorded myself reading out each CD title and used these to implement a "talking index" mode - press the "index" button and the player starts "reading out" the disc titles, when you hear the one you want press "index" again and it starts playing. 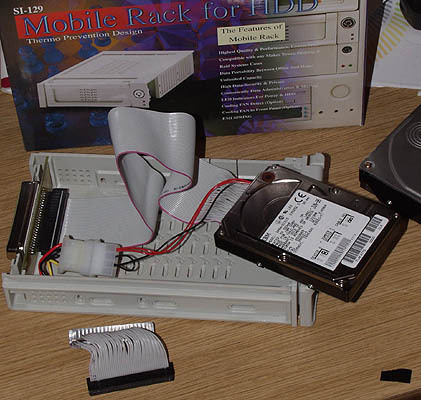 To get files onto the hard drive, I modified an existing removable 3.5" HD rack to accept 2.5" drives, using a "44-to-40 + power" adapter cable from Farnell, P/N 96-1413. 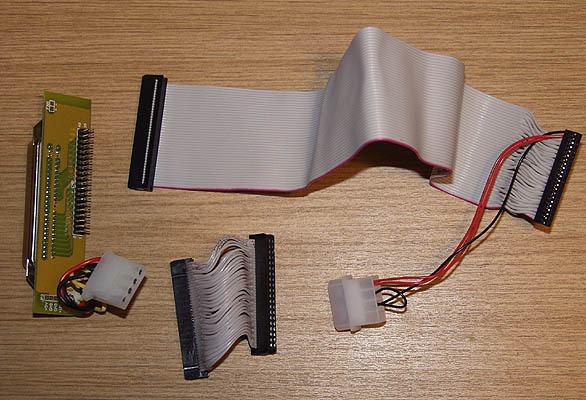 The original ribbon cable header has been removed and replaced with a 40 way pin strip, so it can now accept either the 40-44 way adapter (top) or a normal 40 way cable (bottom). The hard part was desoldering the old 40 way header!